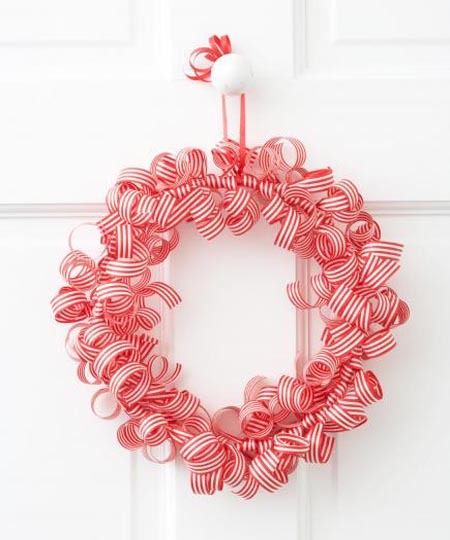 Next to the Christmas tree, my favorite holiday décor is the Christmas wreaths. 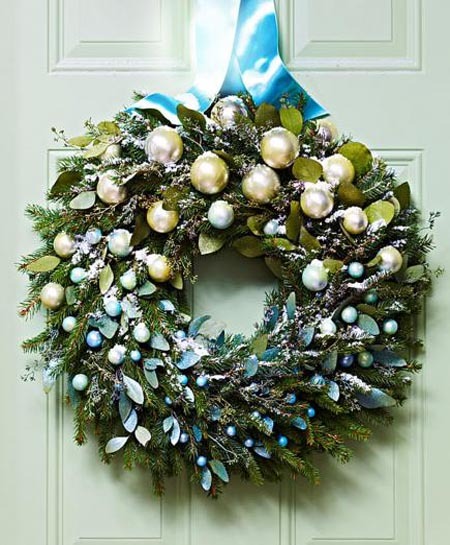 I just love seeing Christmas wreaths in different parts of the house, festooned with all kinds of shining baubles and sparkling lights. 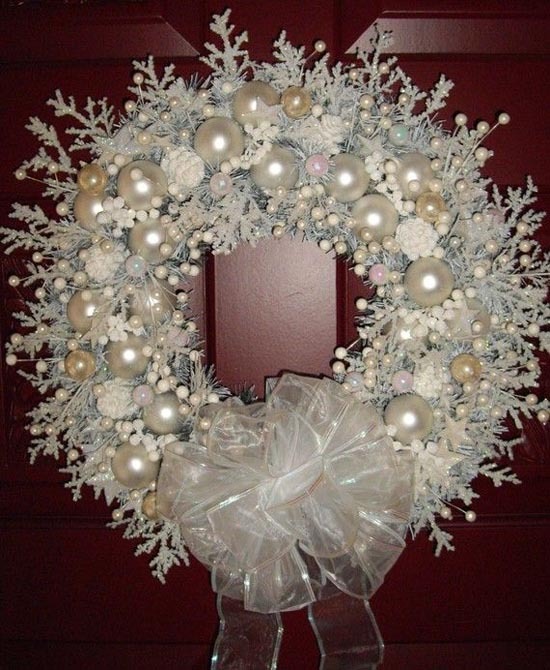 There’s something so simple yet so elegant with a tastefully decorated wreaths, don’t you think? And they’re really flexible, too. 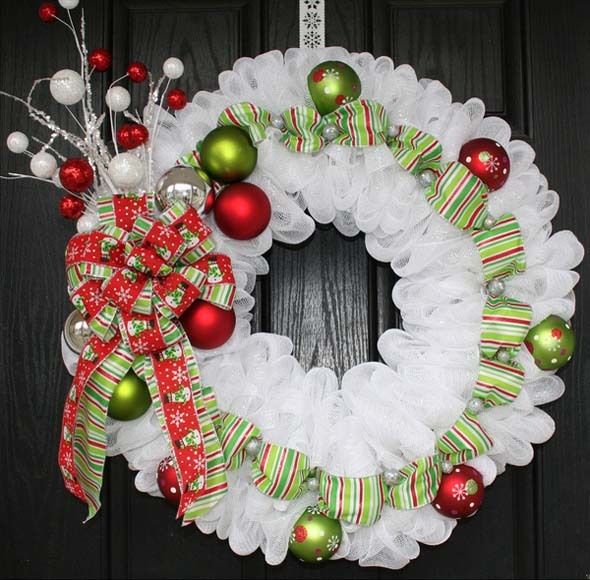 Christmas wreaths don’t belong to just the door exclusively. You can hang them on walls, on windows, and on fireplaces. 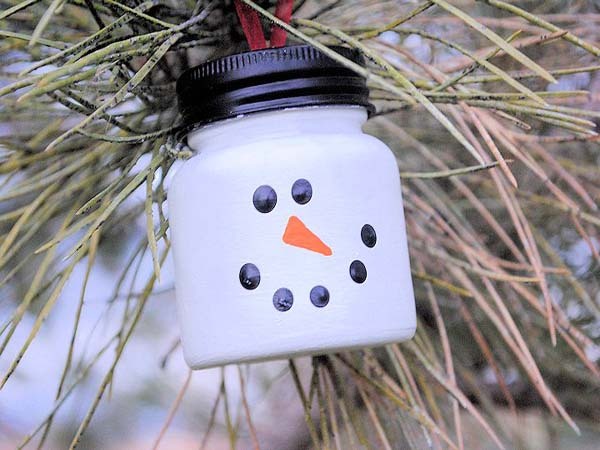 You can dress them up with all kinds of ornaments, from the really small to the really big ones. 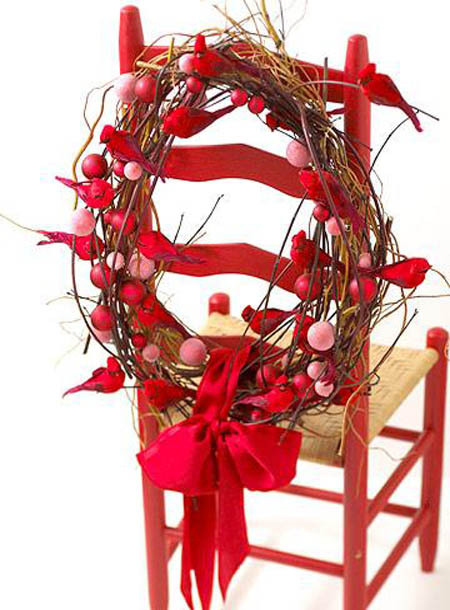 Here we have a great selection of fun and creative ways you can spruce up your homes with these Christmas wreaths. Each one is a sight for sore eyes, that’s for sure! We love everything in this list, and we hope that you will, too. 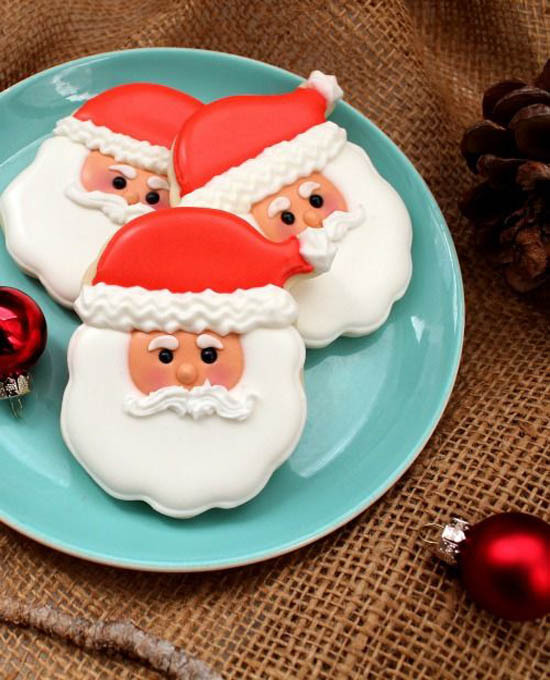 So read on, have a look, and bookmark your favorites! 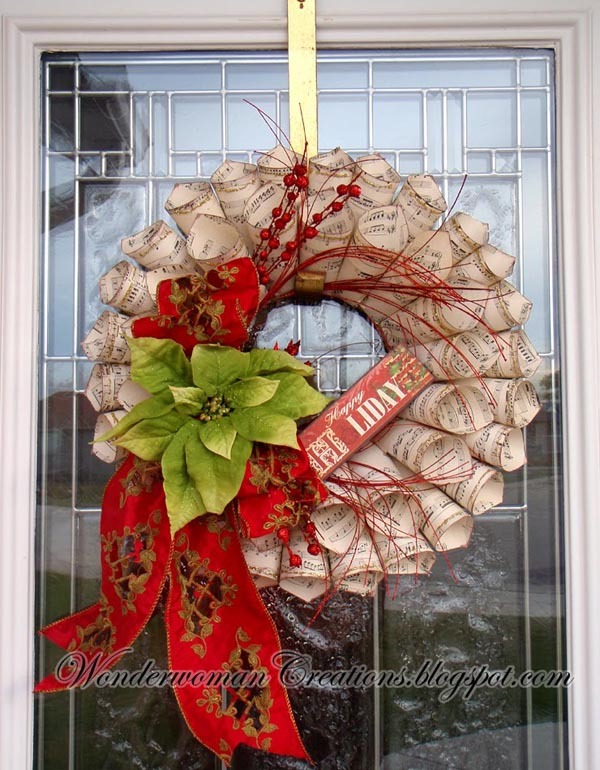 This one may look simple but can be a center of attraction for your door. 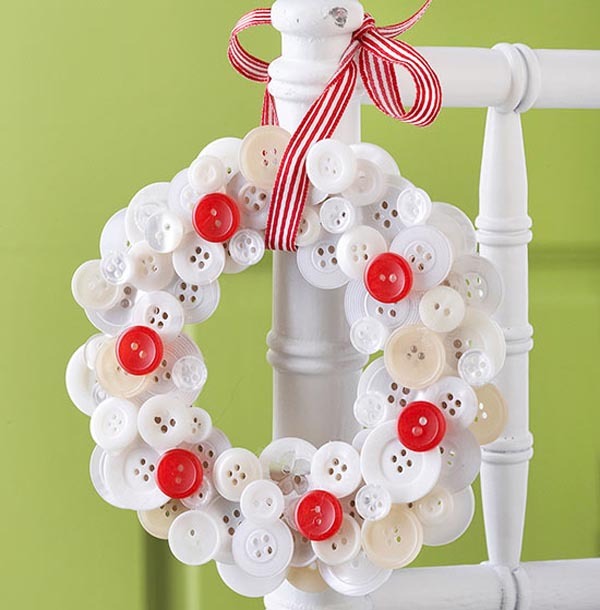 The white ornament complements well with the red wreath circle. 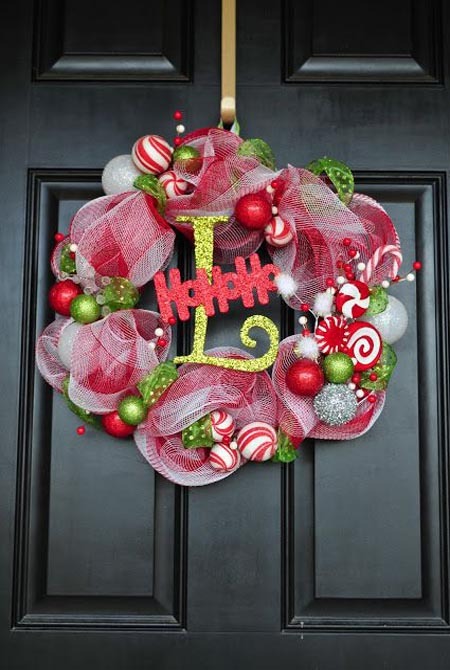 This Christmas wreath decorating idea is sure to give your door that ultimate holiday feel with all the colorful mesh ribbons, elf figure and meaningful word as a focal feature. 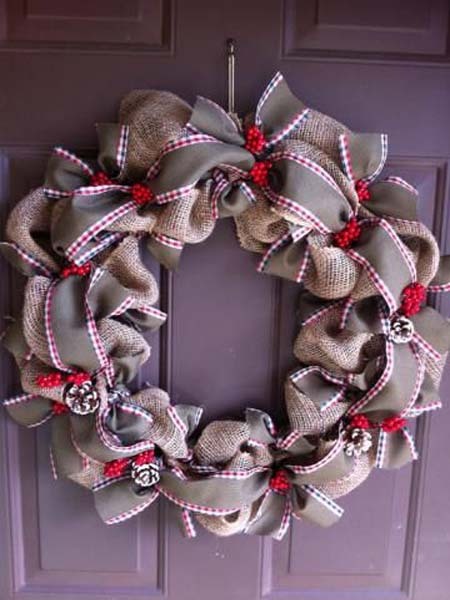 Add festive feeling to your door with this burlap Christmas wreath accentuated with brown ribbons and silver pinecone accessories. 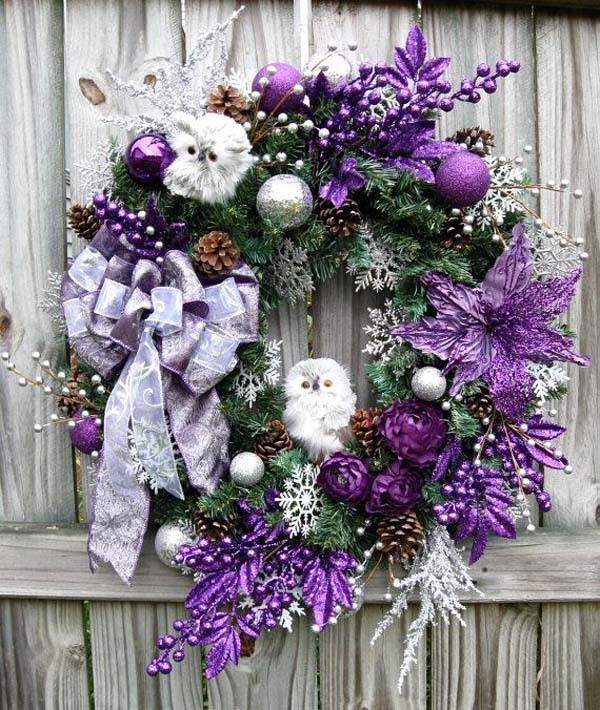 Join me as we take a deep sigh of awe and appreciation for this exquisite holiday wreath. 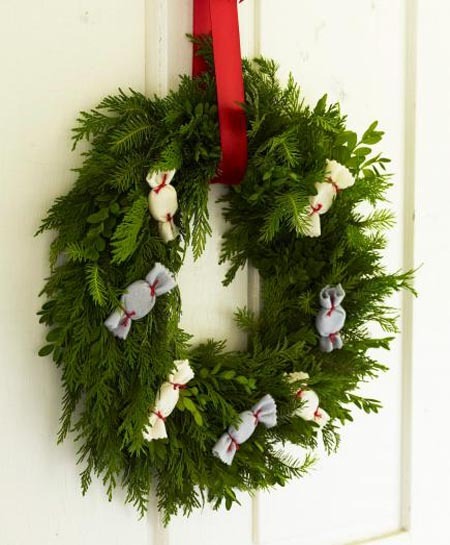 The elegant mesh ribbon, intertwined with berries and greenies is such a sight to behold. 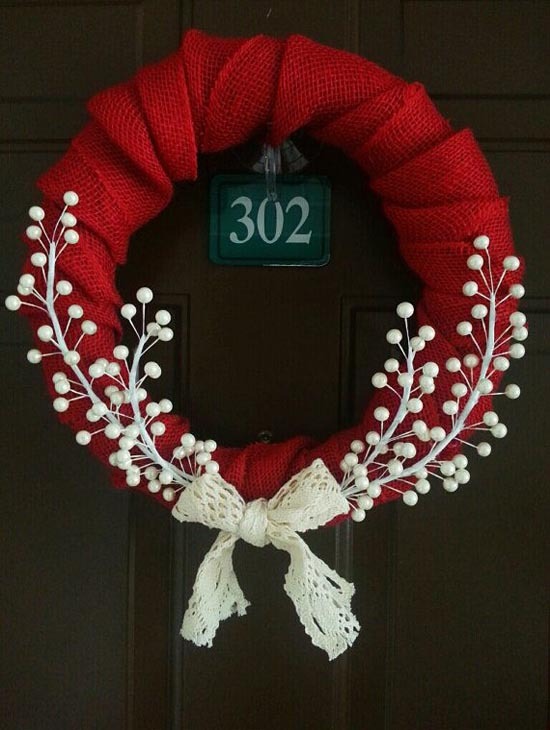 Not to mention the classy red Christmas balls that further accentuate the wreath. The holiday feeling is very much alive with this one. 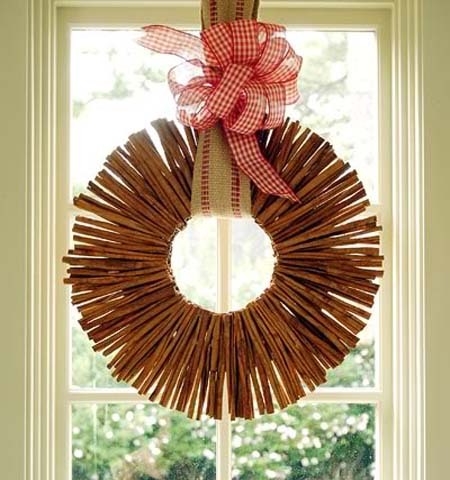 Christmas wreaths always add a festive feel to any home, no matter how lavish or how simple the ornaments are. 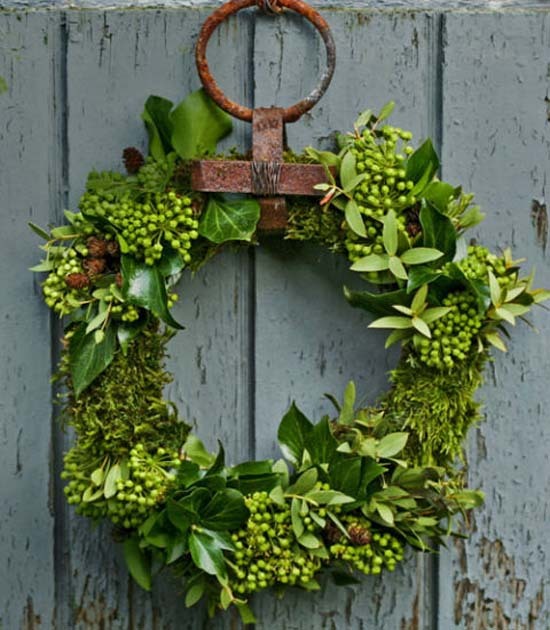 Like for this one, the monogram creates simple beauty with the twigs and greeneries. 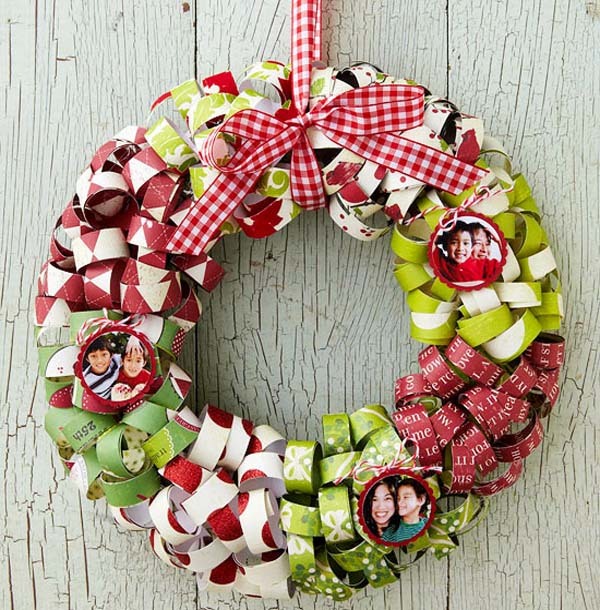 If you’re not into bright colors, this rustic Christmas wreath is for you. 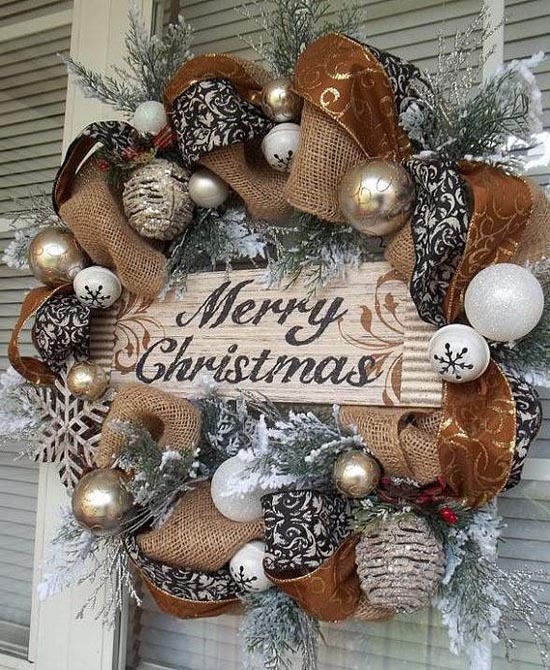 The woody and natural color of these ornaments will surely suit your taste. 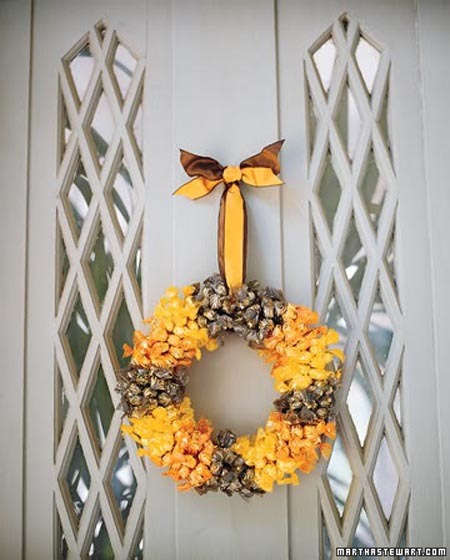 You can go for simplicity with this year’s holiday wreath with this one. 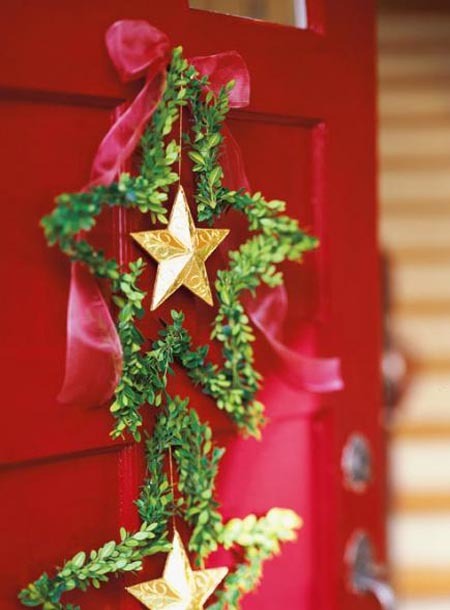 A evergreen leaves shaped into star and accented with gold-colored star ornament. 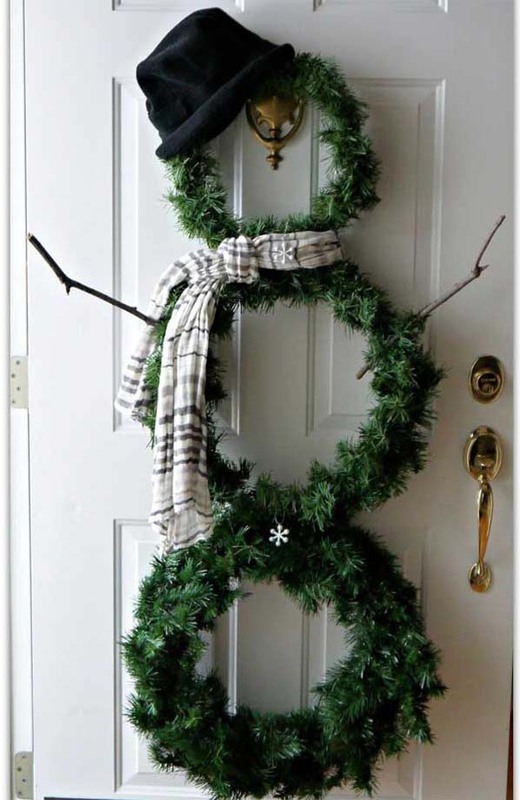 This is a perfect way to greet your guest on the holiday. 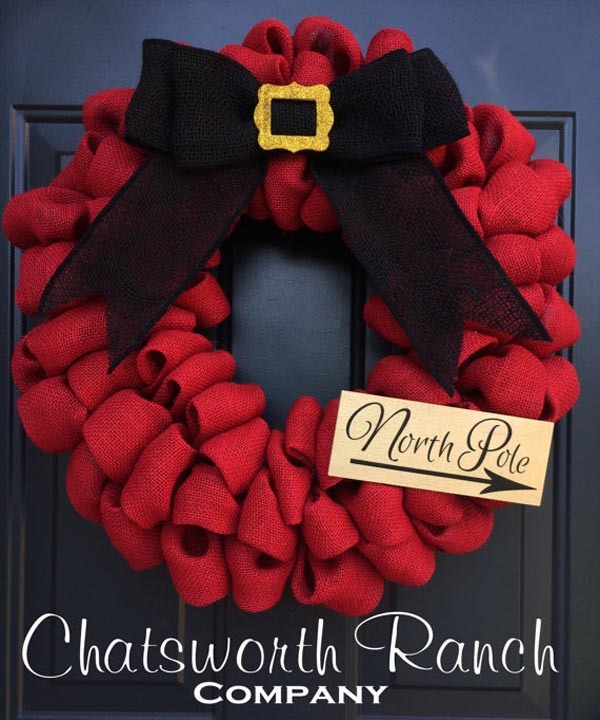 Go different and be unique with your Christmas wreaths this year. 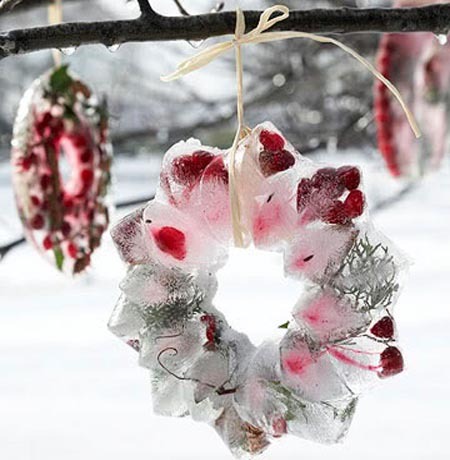 Instead of using your regular Christmas ornaments, why not use fresh fruits as accent? 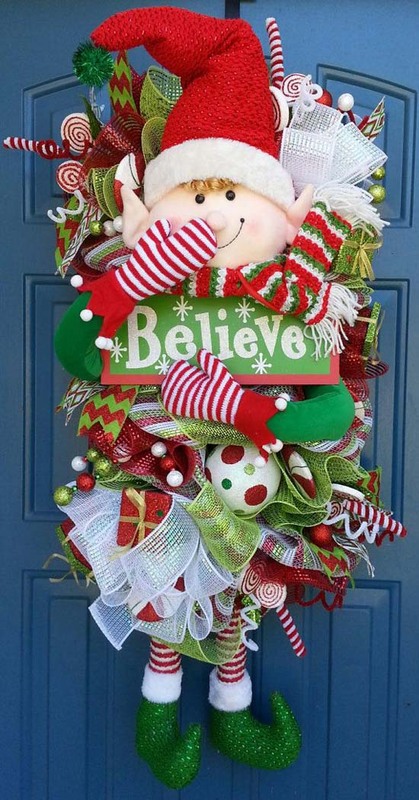 We still can’t get over how fabulous this holiday decoration is! 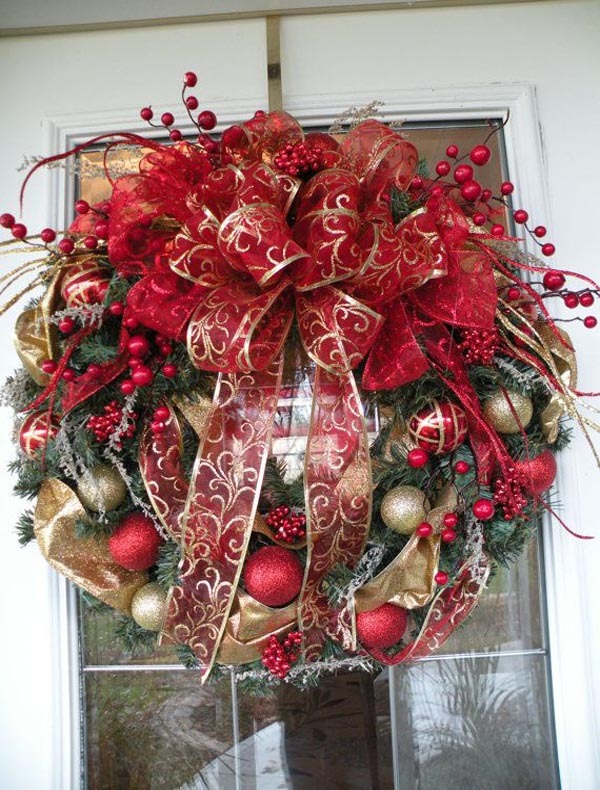 The splash of Christmas colors is so lovely and merry. 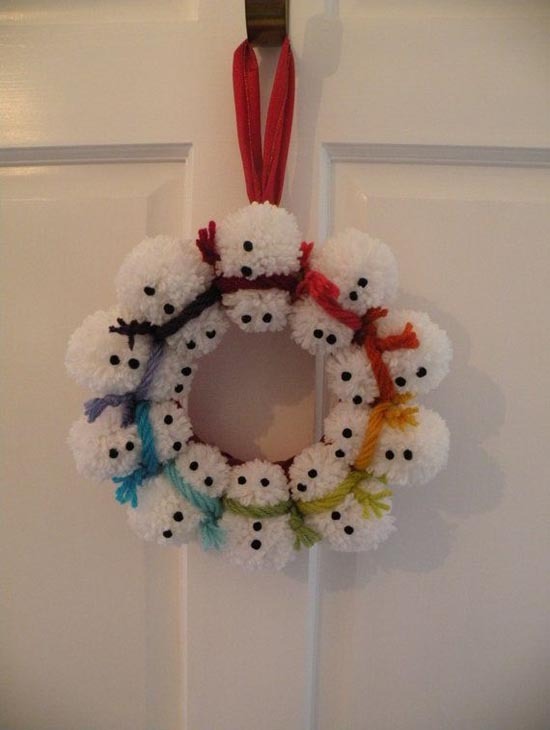 A musical Christmas wreath. 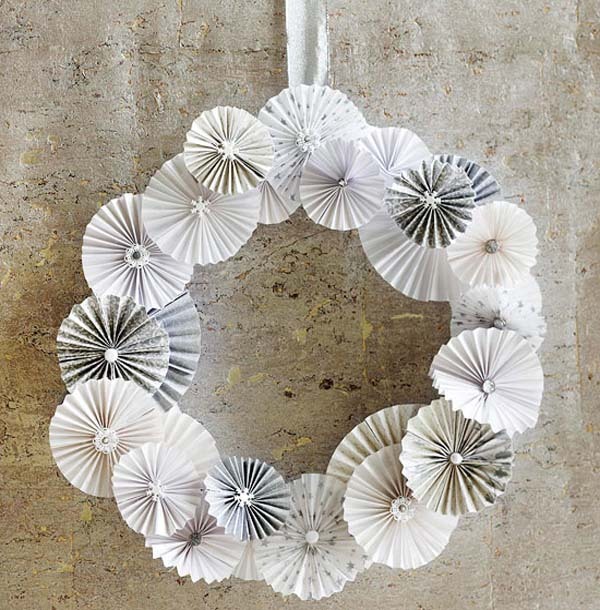 Turn those old music sheets into something festive by folding into cones and putting together in a wreath. 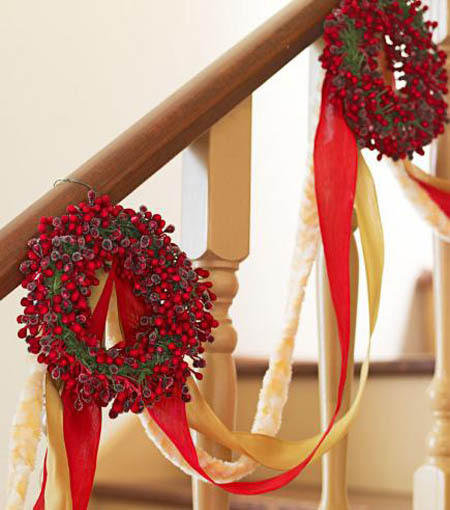 Add festive feeling on it by attaching red ribbons and green poinsettia flower. 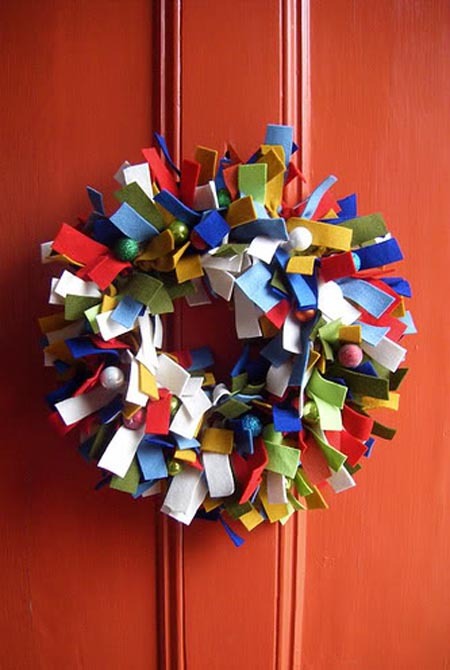 If you’re feeling extra creative this Christmas, you can make your own Christmas wreath. It’s a perfect time to put that precious creativity to use. 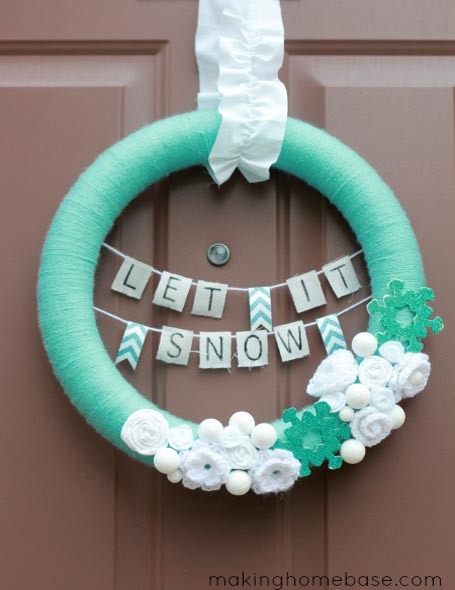 Here are some of the stunning DIY Christmas wreaths that I’ve come across the internet as I browse. You might get some inspiration from these. 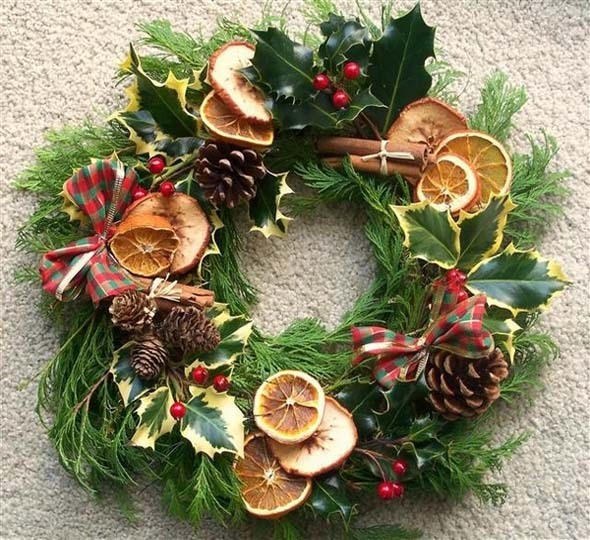 Nothing beats the charm and elegance of a beautifully assembled Christmas wreath. 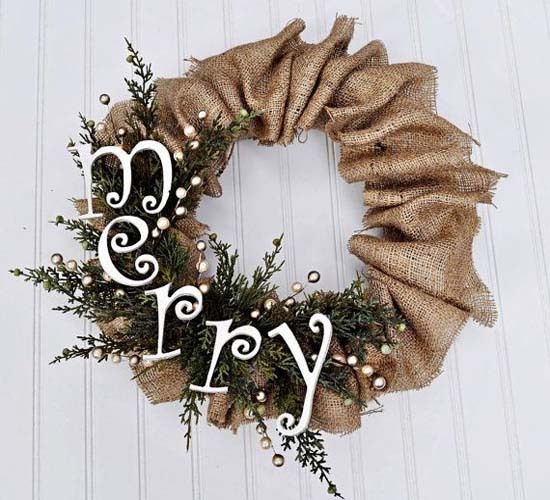 Just a few Christmas ornaments here and there and some holiday elements are enough to turn an ordinary wreath into something whimsical and stunning. 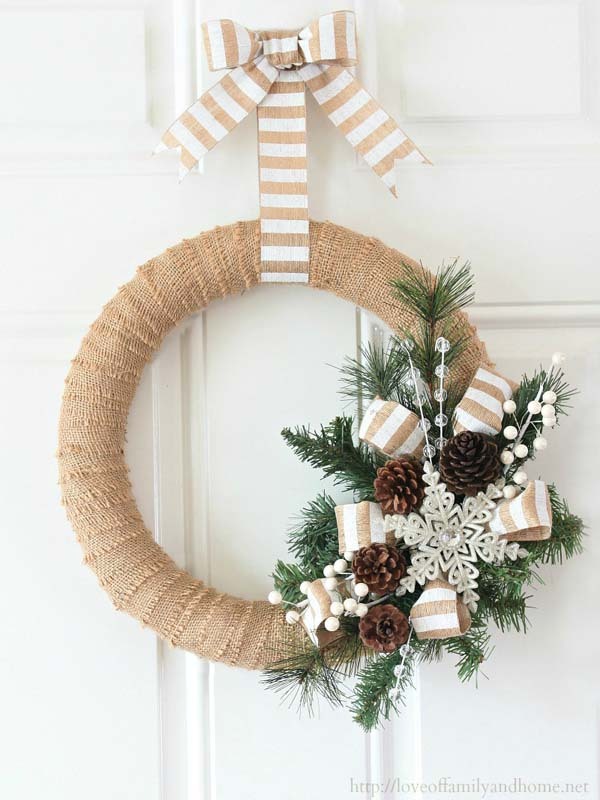 Get your inspiration from this prettily decorated Christmas wreath. 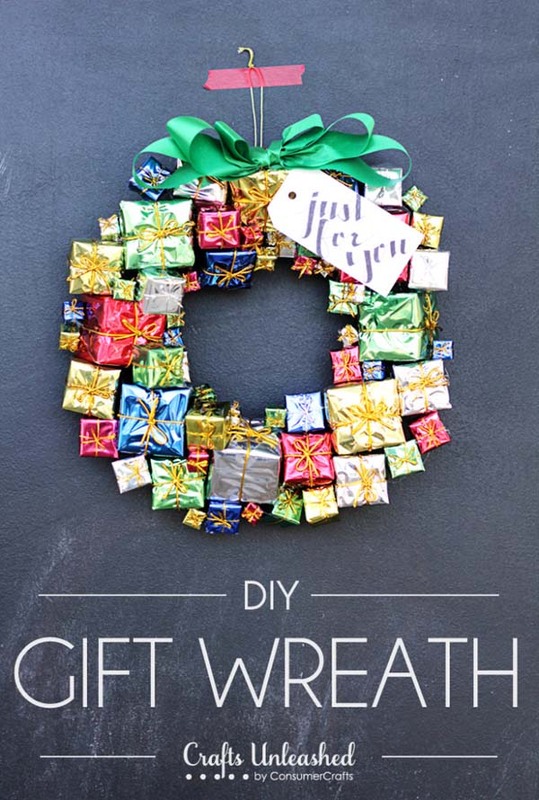 It’s so easy and inexpensive to do, too! 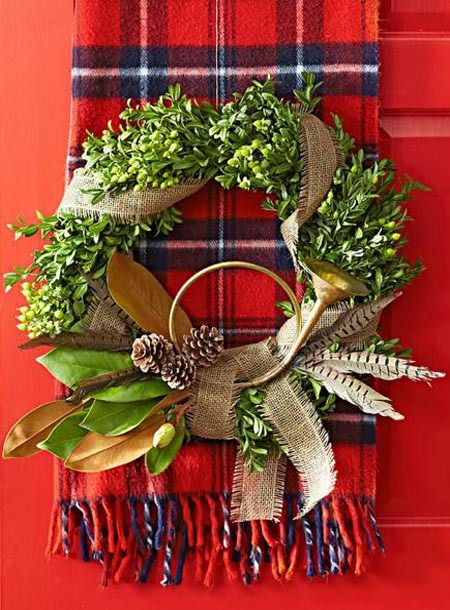 If you’re going for bright, festive, and fresh this year, get inspired by these wonderful Christmas wreath decorating ideas. 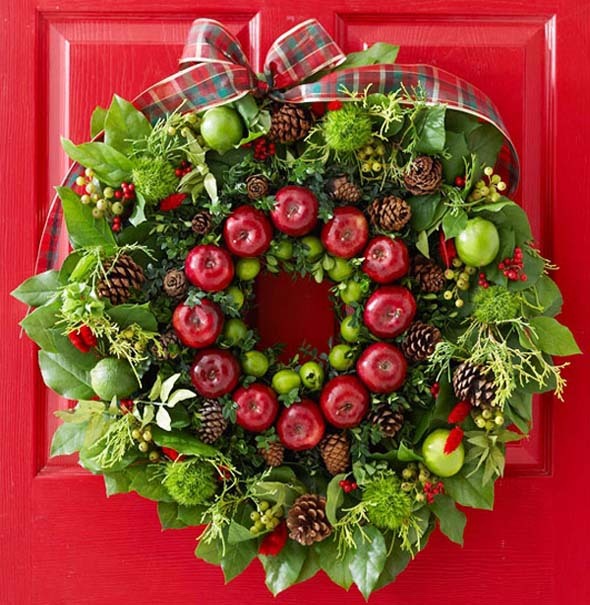 Adorn your Christmas wreath with bright colored fruits and greenies. 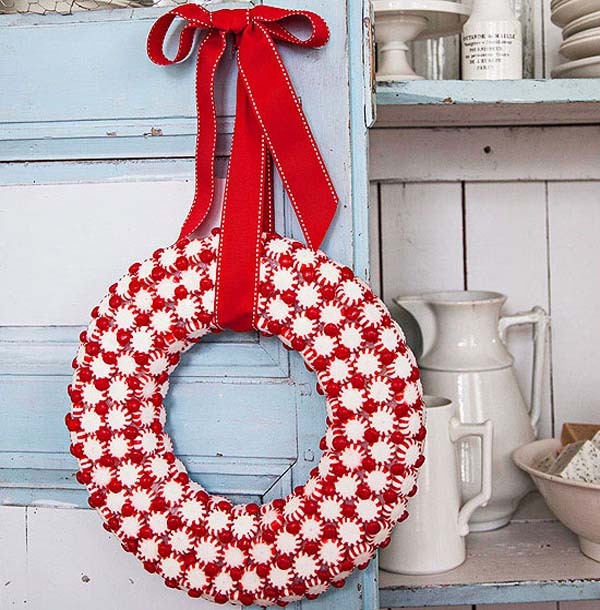 Dangle vibrant Christmas ornaments for a more festive and jolly feel. 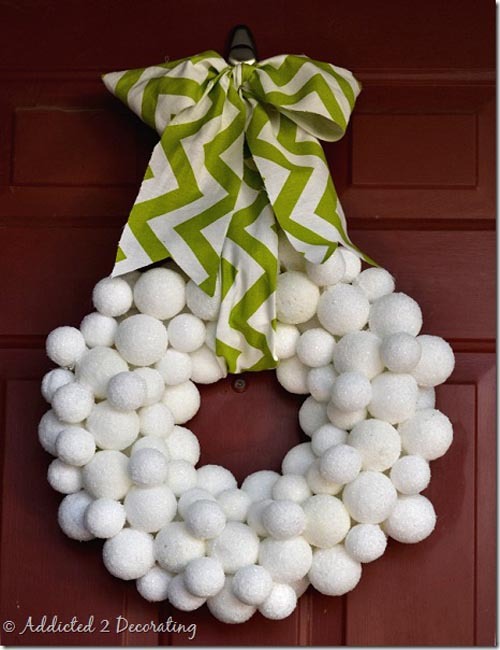 I promise, there’s not going to be one morose face going inside your home as they see these Christmas wreaths. 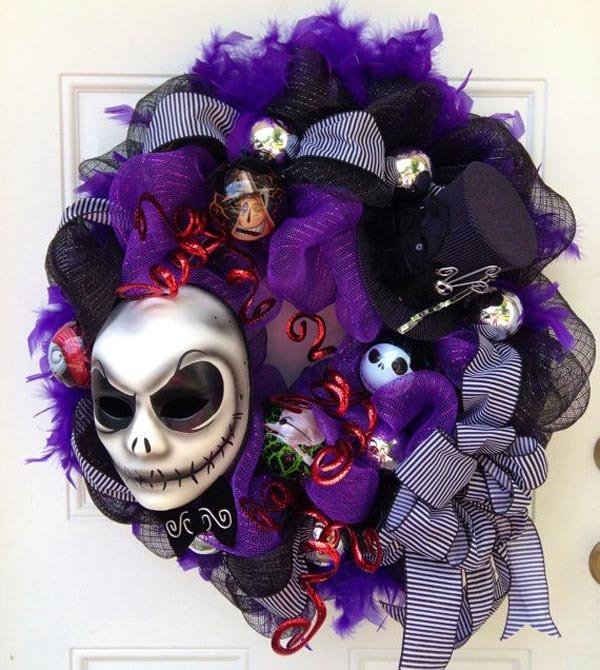 Nightmare before Christmas is one of the most popular Christmas movies of all time. 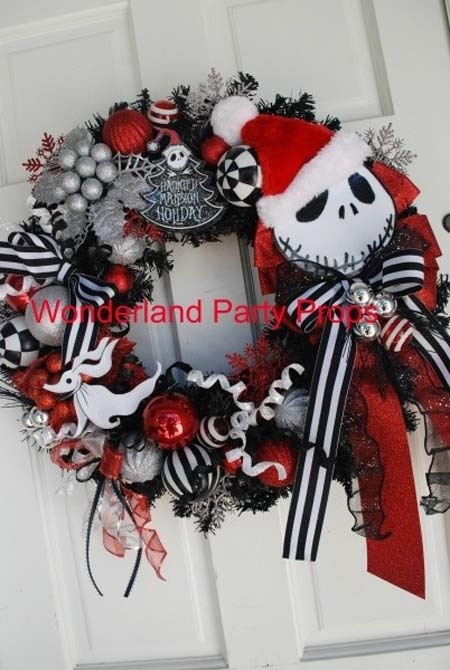 So I am not surprised if some of you would like to use this theme in your Christmas decorating or for your Christmas party. 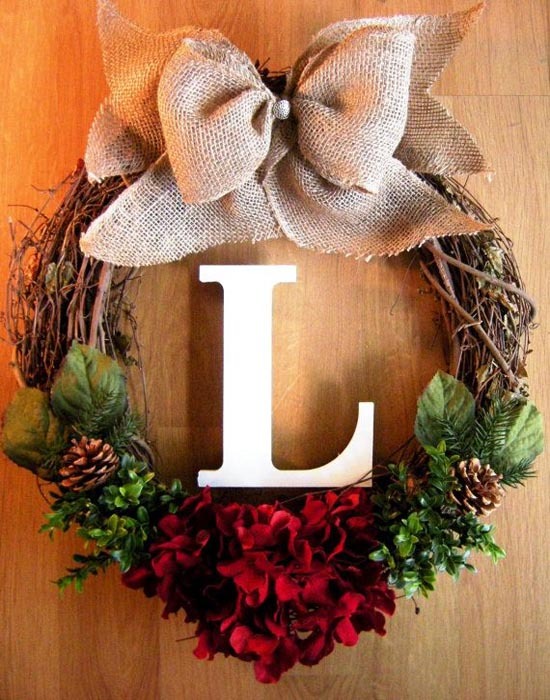 When it comes to wreaths, you can also use the same theme. 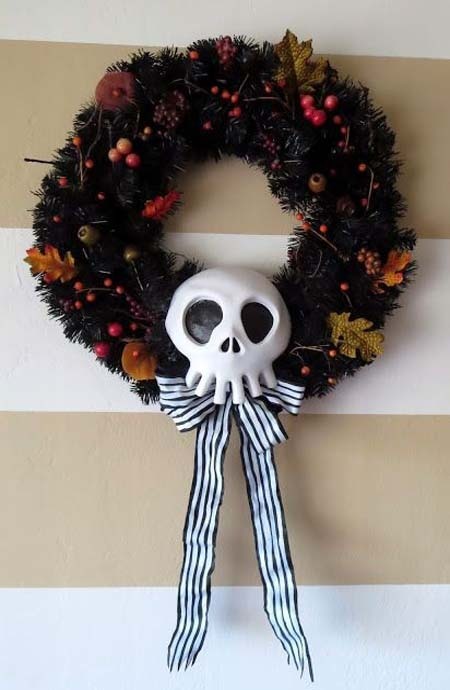 Here are some inspiration for your Nightmare before Christmas wreath decorating. 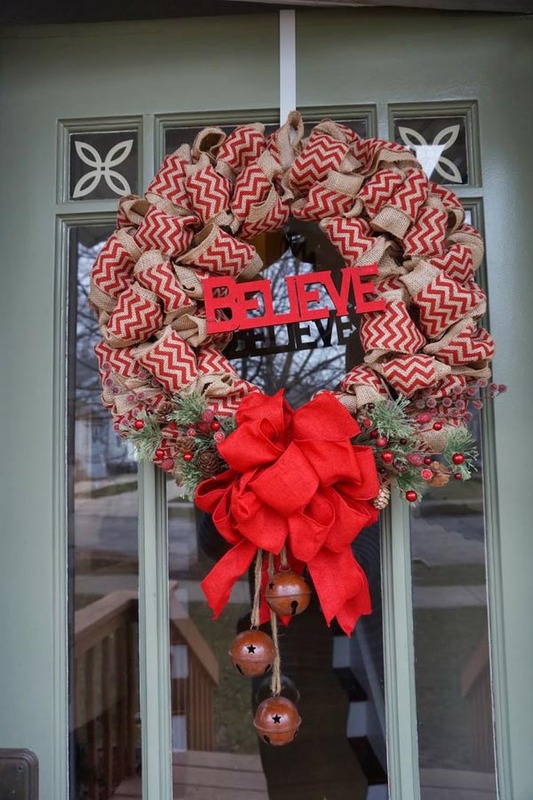 Whenever I see fabulous houses with even more fabulous decorations, I get inspired to beautify my own house, too. 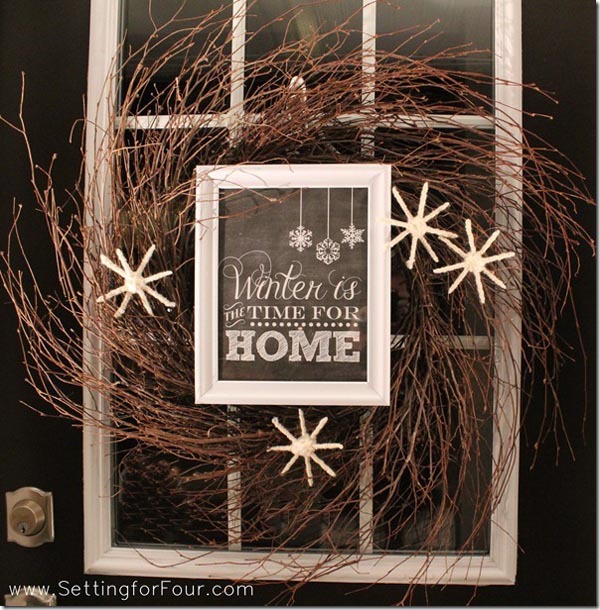 These elegant Christmas wreaths on the doorway and windows are easy enough to recreate. 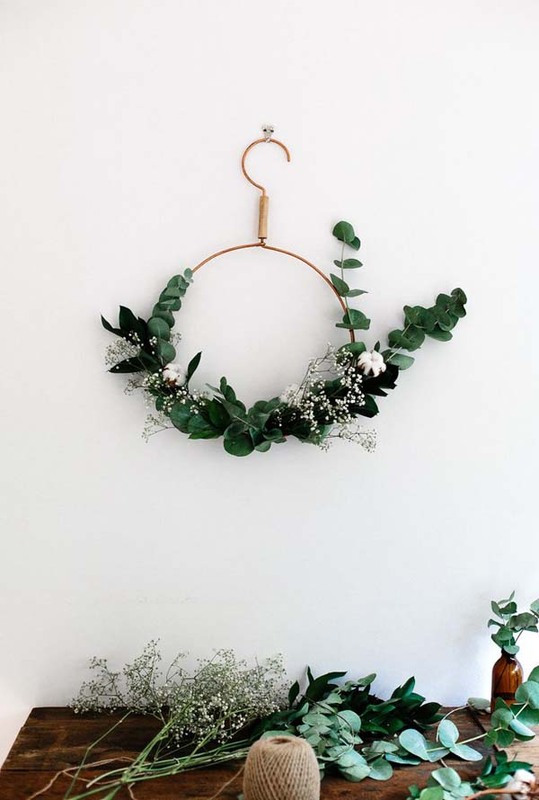 They’re so simple and easy to decorate with. They look lavish but they won’t cost you a fortune, either. 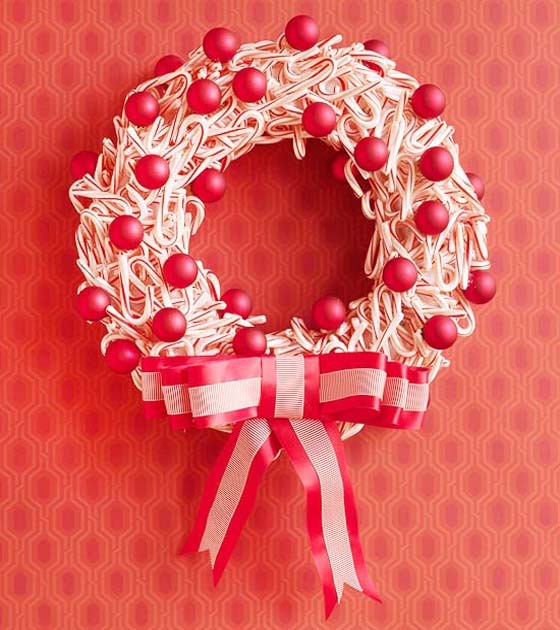 Why not start making these jolly Christmas wreaths?